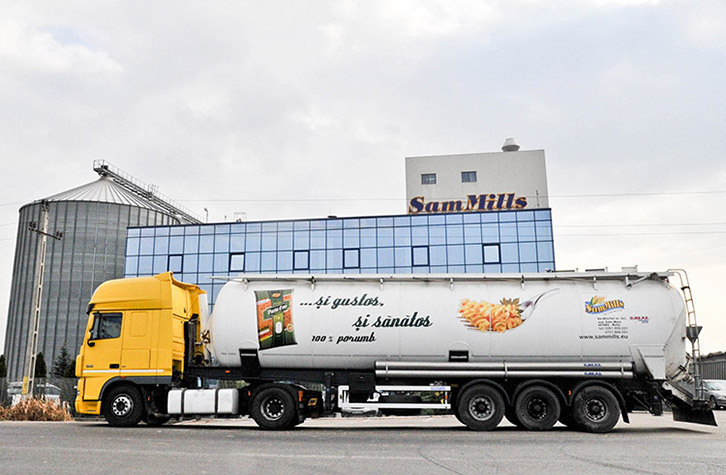 Sam Cargo was founded in 2007, as an answer to the need of Sam Mills to deliver flour products and cereals. The activity started with 13 tractors, 9 silo trailers and 4 tipper trucks. Over time the car park has grown to 24 Daf tractors, all Euro 5, 18 of them are equipped with silo superchargers for unloading flour products, 6 with hydraulic tipping, 20 silo trailers, 7 tipper trucks, 1 trailer with tarpaulin, one 26 ton truck with tarpaulin, one 18 ton dump truck and one 3,5 ton Iveco Daily with tarpaulin. 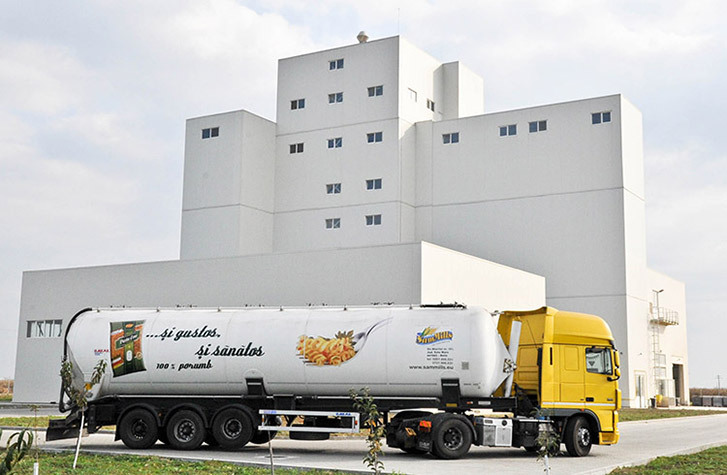 Currently we transport cereals, wheat flour for bakeries, corn flour for breweries, soy and sunflower grits for Sam Mills Feed fodder factory. 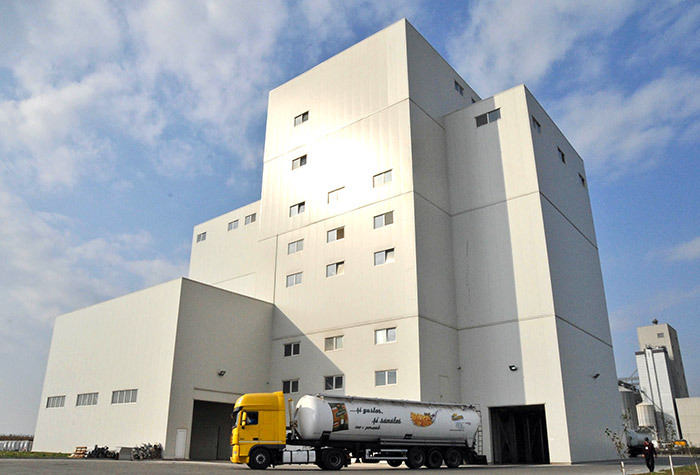 Starting with November 2012 we also transport fodder pellets from Sam Mills Feed to chicken and pig farms in the North-Western part of the country. We have 34 employees at the moment.